This article includes about $20,000 of mistakes that I've made in the last 6 years of running my photography-centered business. This article is also the result of hundreds of hours of trying to figure out the business, legal, and financial side of photography on my own. So hopefully this will help! But fortunately, I successfully waded through the red tape of starting my business 6 years ago and the business has processes for the legal and tax requirements that were so complicated at first. Now I'm a licensed attorney, but run my photography business full-time. So I'm in a unique position to walk you through all the steps you'll need to go through to get your photography business set up legally. First and foremost, while I am an attorney, I'm not your attorney. Laws regarding small business differ in each state and country, so you'll need to seek the advice of a licensed attorney in your own jurisdiction before making business decisions. This is strictly legal education. You'll need to walk through 5 steps to get legally set up as a photographer: (1) Decide on a name and check trademarks, (2) Create an LLC or stay as a sole proprietorship, (3) Get an EIN, (4) Set up your business finances, (5) Determine your tax strategy, and (6) Make a decision about insurance, and (7) Get some inexpensive photography contracts !!!!!! Contracts will do more to protect you legally than ANYTHING ELSE! That may all sound intimidating now, but as you'll see in the article, the truth is that 90% of photographers can run through this whole process in just 24 hours. It's really not hard as long as you carefully follow the steps. Don't worry. I've never lost a patient. Every photography business has a name, even if it's as simple as “Jim Harmer Photography” (that's how I started out). Just pick something. If you pick your own name, you're free and clear. Don't worry about the rest of this. If there's already someone with a business named “Jim Harmer Photography”, they just have to deal with it because I always have the rights to my own name. There was a court case where someone with the last name McDonald opened a restaurant named McDonald's, but not THAT McDonald's. He won. The court ruled that you always have the right to your own name. If you choose anything other than your own name, you have to take a couple extra steps. These are the steps I had to follow when I made “Improve Photography” after graduating from the simple “Jim Harmer Photography.” As an example, let's say I select something corny like “Still Frames of the Mind Photography.” Cute. I need to make sure that someone else does not have trademark rights over that name. I can find out in two ways. The first step is to check USPTO.gov and perform a TESS trademark search. It works like a normal search engine. Just choose “basic word mark search” and then type in the proposed name of your business and hit “search.” When I do that, I see that the lame name I've chosen brings back no results. That's a good thing! But that doesn't mean I can use the name. I also need to see if any other businesses are named something confusingly similar. For example, what if there is a “Still Frames of the Mind VIDEOgraphy”? That could confuse customers about which business they are hiring. So I'll do a few searches with similar names to make sure. If you find someone with the same name or a confusingly similar name, it's really best to just not use the name and avoid problems down the road. You may be able to still use the name if you are geographically separated, do a different type of business, etc. But it's best to just move on and choose something different. If there are no matches in TESS, then we need to use Google. Do the same thing, searching for other businesses with the same name. If there are, it's really best to just avoid it. Just because they haven't REGISTERED their trademark doesn't mean they don't HAVE a trademark. Trademarks are earned through use–not registration. Registration simply adds another layer of protection. Time to protect your assets. This is where things can get complicated if you let them, but it really shouldn't. We need to decide if you want to separate your business from your personal assets. The benefit of doing so is that it will protect your house, cars, and personal bank account from some lawsuits. The truth is that most photographers don't need to go through the work of creating an LLC. The risk of a photographer being sued is actually quite low, and the dollar amounts of such suits would usually keep it in small claims court anyway. However, if you're in a special situation, an LLC is certainly a good idea. An LLC is the most popular form of separate entity that separates personal and business responsibilities and assets. A sole proprietorship simply means a person who does business. If you don't register an LLC, you're automatically a sole proprietorship. Which law suits would it protect you from? Let's hit on a few examples. You have a contract with a client to shoot their wedding, but you're in a car accident on the way there and miss the ceremony. The client can't get your personal assets. You're shooting a wedding and a light stand tips over on a guest and does her harm. Your LLC won't protect you at all because the guest did not contract with your business. The guest is just a person YOU harmed. Your LLC is useless. You are having a bad day and do a terrible job taking wedding photos. The couple can't sue you personally-only the business with whom they signed the contract. The contract was breached. You don't collect sales tax for your photography jobs and the state sales tax commission audits you. Your LLC does nothing. The IRS will get your personal assets without skipping a beat. So as you can see, having an LLC is an excellent way to protect you from SOME but not ALL law suits. For many of you, the “no LLC” option is the simplest and probably the best. You can always switch to an LLC later if your business grows. If you don't want to make an LLC, you still need to do some work. You need to register a DBA with your secretary of state. A DBA just means “Doing Business As.” It usually only costs $25 and is a simple one-page form where you say that “Jim Harmer” is doing business as “Jim Harmer Photography” or “Improve Photography” or whatever business name I chose. It's dead simple. Just google the name of your state and “secretary of state” there will be a simple form you fill out and mail with a $25 check and you're set. If you decide you want an LLC, then you have a tiny bit more complexity, but it's not too bad. Google the name of your state and “secretary of state” and you'll find a simple form for registering an LLC. It usually costs about $100. It's really quite simple. The only “insider trick” you should know about is that on the line that asks for the purpose of your business, just write “To earn money.” The reason is that if you're ever sued, you want it to be crystal clear that you don't ONLY do portraits, for example. If you write something too narrow, the plaintiff may argue that your business is just a pass-through account and that you were engaging in other business endeavors. If the purpose of the company is simply “To earn money” then you can do whatever you want with the company. File the form and your $100 with the secretary of state and you'll be on your way. In Idaho, this is a simple 2-week turnaround. The only thing you'll need to do long-term is once a year you'll have to fill out a little card they email you about saying that you're still in business. It takes about 5 seconds per year. Also, I should add that the LLC is hardly the only option for asset protection. There are many others, but for 99% of you reading this, the LLC will be the right choice. If your business is bringing in loads of money, you'll definitely want to talk with an accountant. Not everyone needs an EIN. It's really just for a specific set of issues in dealing with the IRS, but I find that it's tough to do a lot of business endeavors without one. When you get insurance, sign up with a credit card payment processor, or set up a bank account, they'll want an EIN. It takes about 5 minutes. Just go here and fill out the simple form and you'll get your EIN. It's free. Save it somewhere you can find it. You'll need it pretty regularly. Whether you choose to set up an LLC or not, you need to separate your personal finances from your business finances. If you are going to set up an LLC, then this is also necessary to get your protection as a separate entity, but even as a sole proprietor this is a necessary step to keep your books in order for the IRS. Go to a bank and set up a bank account for your business. You'll need your LLC documents and EIN if you went that route. If you're a sole proprietorship then just the DBA will be all you need. Absolutely every single penny your business earns needs to be put in the business bank account. Every single penny you spend on business items needs to come from that same bank account. Never, ever, ever use your business account to buy a personal item. Ever. Ever! If you mess up the above rule, your LLC is COMPLETELY USELESS! If you set up a separate LLC and business bank account, but just use the business card any time you're out of money in your personal account, your LLC is destroyed. Anyone who sues you can “pierce the corporate veil” and get your personal assets. 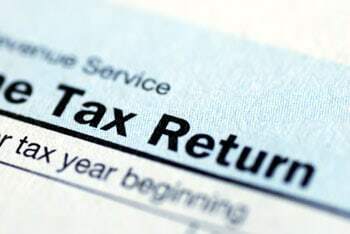 If you are a sole proprietorship and you violate the rule above, then you've set yourself up for a NIGHTMARE of an audit when you try to show the IRS your books. Everything is much easier if you keep these two things separate. Wondering what you can justifiably make a business expense? Anything that you buy that has a substantial business purpose and is ordinary and necessary in your field. Photography workshops, buying new camera gear, purchasing props, and paying models are all examples of good business expenses. But there are others that can really help out as well. A business expense means you'll get to deduct the purchase from your taxes. So if I earn $40,000 in my photography business and my tax rate is 25%, and I have $10,000 in expenses, then the 25% tax rate is only applied to the $30,000 in net profit. So basically, whenever you buy something on the business account rather than your personal account, you're getting it at a 25% off sale. That's fantastic if you would have bought the item anyway, but it never makes sense to buy something just because it'll be a tax deduction. Now you need to decide how much money your business will pay you. If you are an LLC, it's really best to set a consistent monthly salary and not change it. For example, you may put $500 of your personal money in the bank account to get it started. Then you do some work and earn about $1,000 per month. You may choose to set your salary to whatever you want as long as the business has that much to pay you. At the beginning, it may be as tiny as $100 per month. Don't worry, you can always change it later. Just keep it consistent each month. If you get to December and see that you've only taken a tiny amount out of the business and you have a lot of retained earnings (money left in a business account), you can give yourself a special yearly distribution to your personal account. You pay yourself by simply writing yourself a check from the business account to your personal account each month. If you are a sole proprietorship, then you can really take money out whenever you please. The business IS you, so you don't have to be as careful. But when you want to use the money in the business, write a check from the business account to your personal account. Then buy whatever you want out of your personal account. That way it's still clear what is a business expense and what is a personal expense. You'll need that for tax accounting. The last step here is to meticulously track every single mile you drive as a photographer. Going to the mountains to take pictures? Write off the miles! Driving to a coffee shop to meet up with a potential client? Write it off. Driving to one of my free photography workshops? Write it off! Just keep a simple ledger that says where you started, where you went, how many miles, and why you went there. Then, at the end of each quarter, write yourself a check from the business to your personal account for the cost of the miles (56.5 cents per mile). Buy your gas, car, and all car maintenance with your personal account and then we do these reimbursements. I've never seen a car that actually costs 56.5 cents per mile to operate, so you actually MAKE money when you go on a photography road trip. Not keeping track of my miles very well has cost me several thousands of dollars over the last few years. Don't make the same mistake. This is the #1 most-skipped step by photographers, and it's the one that comes with the biggest penalties if you mess this one up. Fines for failure to pay sales tax can be HUGE, and photographers are great targets for the state sales tax commission because photographers rarely understand how sales tax works. Every photographer needs to do this step–even if you are just a sole proprietorship. Most people know that products are subject to sales tax, but services are not. That's a general rule, but it has a host of exceptions. Photography is almost always one of them. You may think you are providing a service by taking pictures for someone, but most sales tax commissions say you're selling a product. This gets extremely tricky! Each state deals with the sales tax question differently. For example, some states may allow you to itemize your services so you collect sales tax for the print sales but not for the act of going to do some of the shooting, etc. It's a state-by-state issue. Your best bet is to talk directly to your state sales tax commission and just ask. They are usually cautious about giving legal advice, but they'll usually show you what to do. My suggestion: If you aren't sure what to collect sales tax on, just collect sales tax on everything you do. I've never met a sales tax commission who got upset about being overpaid. To pay sales tax, you have to first register with the state. Google your state sales tax commission and there will be directions on how to get a Sales Tax ID and how the process works in your state. It's really not hard. Some states don't have any sales tax, but most states charge about 6%. So you'll need to update your pricing page with a little asterisk and a note that says “All sales subject to state sales tax.” Then when you get payment from the client, add 6% to the price. At the end of each quarter (usually), you'll see how much sales tax you collected and you'll pay it to your state sales tax commission. Step 6: Taxes, Taxes Taxes! When you work a day job, your employer withholds tax for you and pays it on your behalf. Now that you're self-employed (even part-time), you have to do this for yourself with the income your business earns. This is true whether you are an LLC or a sole proprietorship. Each quarter, you need to total the amount of money you've earned and pay quarterly taxes to both your state and the federal government separately. Just to make it tricky, the government doesn't do this on the typical ends-of-quarter. You'll pay on April 15, June 15, September 15, and January 15 of each year. Here's what you do: total the amount of money you earned since the last payment. Take about 25% of that amount (or whatever the tax rate is–differs for everyone) and pay it to the IRS. You'll also withhold for your state. Usually this is about 5 to 8%. Go to the IRS website and print out a voucher. It's just a little half-sheet of paper that you mail along with your check at the end of each quarter. All taxes except sales tax are paid through your personal account–NOT the business account. An LLC is a pass-through entity, so you pay the tax personally. A sole-proprietorship is just YOU doing business, so pay your taxes from your personal account. Eventually this can become difficult to manage your personal finances to have enough in there to pay the quarterlies. You can set up your company so, in addition to your monthly distribution (salary), you also get a quarterly distribution from the business to your personal account that just so happens to be the exact amount of tax you owe. If you pay the correct amount in quarterly taxes throughout the year, you won't have any additional tax bill at the end of the year. But if you get your quarterlies wrong, you could end up with a whopper of a tax bill! It's better to over-pay and get money back than to under-pay and end up with a big bill. If your business is on track to earn about $80,000 in the course of a year, you absolutely positively need to go see a CPA immediately! It's very likely that you'll want to change your corporate tax election to be an S-corp. You stay an LLC for liability reasons and your business name is still the same, but for tax purposes you are treated as an S-corp. This can save you a STARTLING amount of money on taxes because you'll avoid self-employment tax, but it also means more fees to your financial advisor and more complexity. Only do this if you're earning around the $80,000 mark. Some CPAs will want to talk everyone into doing this so they can rack up more fees. I made the mistake of trying to save money by not hiring a CPA until it was too late. I lost about $13,000 in taxes between two years that I could have saved if I'd made the switch to an s-corp sooner. But I saved a whopping $200 by not getting a CPA! Ug. You don't need insurance to be a legitimate business, and I'm not aware of any states that require photographers to hold insurance. However, it can be a smart business decision depending on your situation. My general take on equipment insurance is not to get it, IF you are in a financial position to buy new gear if yours gets broken or stolen. For example, if someone broke into my home today and stole my computer, Drobos, laptops, and cameras, it would really stink. It'd cost a lot of money. But I'm in a very comfortable financial position and could just go out and buy replacements tomorrow. However, if I were just starting out my business and the same thing happened–I'd be up a creek. I wouldn't have the money to replace the equipment necessary for my business, so I'd have to close my doors. My business would be done with. So get insurance if this is your situation! The reason I don't recommend equipment insurance if you have the money to replace your gear is because it'll save you money. The insurance companies are smart. They figure out the chances of you losing your gear and the cost of replacement, and then they add some margin in there for them to make money. By not buying the insurance, you take on the risk yourself so you can keep the margin. But if you aren't in a good financial position, then get the insurance. Liability insurance is probably not necessary for most photographers. It covers a lot of the errors and omissions that could come up in the situations we described above. However, you have to think about what the real risk is. If you have an LLC and you mess up someone's wedding photos and get sued, the only amount they can sue you for is the amount your business has. For most photographers, that's only a few thousand in equipment and retained earnings. The risk is very low, so don't pay hundreds of dollars a year to transfer that risk to an insurance company. However, if you have far more substantial income and assets in your business, then business insurance would be an extremely smart move. Step 8: Everything Goes In Writing! Never, ever accept a shoot without having a written contract between you and the client. Also, get a substantial initial payment before you agree to book the shoot. Noticed how I called it an “initial payment” and not a “deposit” or “downpayment?” That's very significant. You'll also need model releases for when you photograph someone and want to use their images to advertise your business, or to sell their images to a company. The good news is that I'll take care of all the contracts you'll need. I've already written them for you and I'll sell them to you really cheap. Download them here. I spent dozens of hours writing them (I'm an attorney), but I make them really inexpensive because I want every photographer to have access to good contracts. If you were to come to me as a legal client, I'd charge you $250 PER CONTRACT, and the inexpensive bundle I'm selling has several contracts in it. You're welcome. There is NOTHING you can do in setting up a photography business that will protect you better than having a simple contract with every single client!!! If you ever have any issue with your photography business, I guarantee the first thing out of your lawyer's mouth will be “Please tell me you had a contract!” It's such a simple thing to do, and will provide you a lot of peace by knowing you're doing things right. Just setting up your LLC is only part of the battle. If you don't maintain your LLC, it will be worth nothing. The most important thing you can do is to keep your personal and business finances separate, but we've already discussed that. The next steps are for more advanced users. First, you'll want to keep corporate minutes. Once or twice a year, sit down with your spouse and a Google Doc and just have a meeting about the business. Write down your plans for the next year, review your financial position, etc. Some states allow you to file those minutes with the state, but at least take the minutes and keep them. It makes it look more like a legitimate business. Next, you'll probably want to file Articles of Organization. This is the large document that explains exactly what's going on in your business. This is VITAL if you have a business partner, but still important even if you don't because it makes the business look more legitimate. You can find cheap and easy forms for doing this on any of the inexpensive legal forms websites. Last, you have to be clear that your business is an LLC and not a sole proprietorship or you'll be subject to something called “undisclosed principal liability.” Undisclosed principal liability is where a client does not know that he or she is working with a company, but thinks it is a sole proprietorship and since the company didn't tell the client it was a company, the client can sue the individual business owner personally. Here's an example of when you'd see that. You are at a community event and someone comes up to you and starts chatting about their daughter's wedding. You say you're a photographer and agree to the price and date. You shoot the wedding and they aren't happy. They sue you personally. You say “Wait! I'm an LLC! You can't sue me personally! You can only sue Stolen Moments In Time Photography LLC!” Since there was never a point in your interaction that you said you were Stolen Moments of Time Photography LLC, they can still sue you personally. The easiest way to solve undisclosed principal liability issues is to GET A GOOD CONTRACT! By simply stating it in the contract, you're set! Also, put on your business cards and on the footer of your website the full legal name with the LLC. You don't have to put LLC in your logo if you don't want to (it looks ugly). Just make sure that everyone will see that at some point before they sign the contract, or that they could find that out with reasonable effort. We've been through a lot of information, but if you just go step-by-step you can have this done in just a few hours. It really isn't hard. While all of the things in this article are important to do, NOTHING is as important as simply having a good contract between you and the client. 99% of law suits would never happen if the photographer and the client had a clear contract, and you have no excuse because I wrote all 7 of the most common photography contracts for you and am selling them for just $15. Your business is set up with all of the legal details perfectly in place. Now it's time to shoot some pictures!